How do you find your calm, your focus, your zen? For many of us, we simply might not. 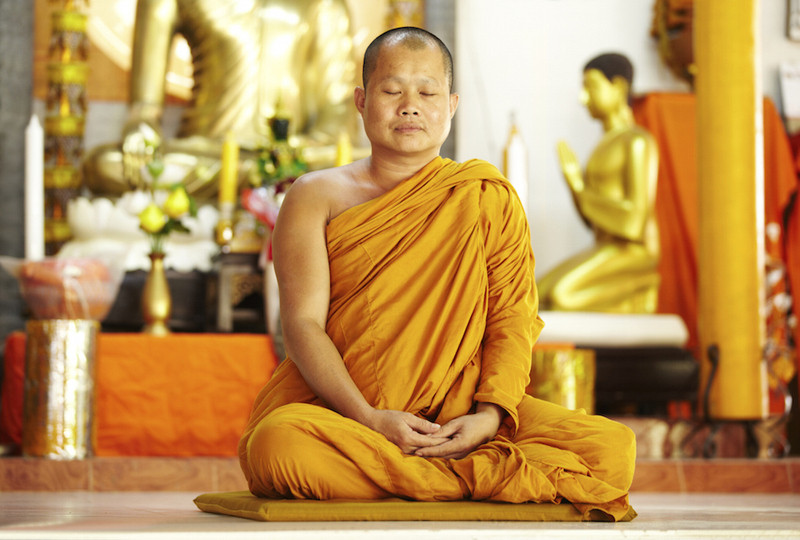 But for Buddhist monks, finding their calm is as natural as breathing—because that’s how they’ve been trained. Of course, it’s easy for us to look at them, say that could never be me, shrug our shoulders, and walk away. It’s much harder to learn how those Buddhist monks chase down their calm…but that doesn’t mean you can’t do it. When you’re ready, here are the seven habits Buddhists rely on to keep their mind focused in the present, and embracing calm. Buddha was born a prince, and could have stayed that way, living a life of opulent riches. Instead, he realized the spiritual and emotional price of material possessions, and he pared down, way, way down. Modern Buddhist monks now do the same, generally only keeping the bare minimum they need to live life, possessions so limited in scope that they generally may all fit in a single backpack. Similar to learning detachment from material possessions, Buddhists also learn to detach from their emotional self, so that they can better care for all. As a result, their focus is not on themselves, but on selflessness. By removing their personal problems from their emotional mind, they’re able to move past the small things and embrace personal calm. Buddhism teaches respect for elders and the wisdom that comes with age, and as such, monks may often seek elder guides. You don’t have to find a monk to find wisdom, either—odds are good there are already older people in your life who can share their wisdom with you if only you’ll ask. We naturally judge others, but Buddhism teaches to accept people for who they are, by listening with our whole minds, which excludes judgment. While it can be easy to fall into our old habits of formulating answers while “listening,” the key here is to fully listen to everything being said. The result is greater respect and understanding, and leads to far more fruitful conversations. We may have the natural tendency to think about the past or worry about the future, but Buddhism teaches us the only time that matters is the present. Living fully and mindfully in the moment allows us to fully connect with the world around us.